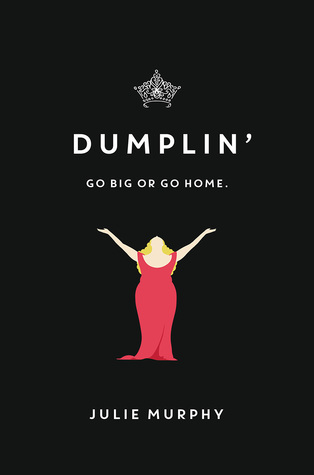 Dumplin’: Go Big or Go Home. I loved this book. I love the cover. I love Willowdean. When I first heard about this book, I thought I knew what the story was. This is a book where a teenager who is comfortable with herself enters into a beauty pageant just to show everyone what she’s made of. I was totally wrong. In the beginning, Willowdean is oozing self confidence. She knows who she is, and she sees nothing to be ashamed of. Until she meets a boy. And she gets a prick of self-doubt. This is a book about being a teenager. I don’t care what your size is, what you look like, who your friends are. It turns out, Willowdean has the same issues that I would bet every teenager does. What do you do when your best friend stops talking to you? Why can’t your mom be happy with who you are? What happens when you realize your Aunt was too afraid to follow her dreams? Why is it that the guy who makes your heart pound and your stomach queasy also makes you question yourself? 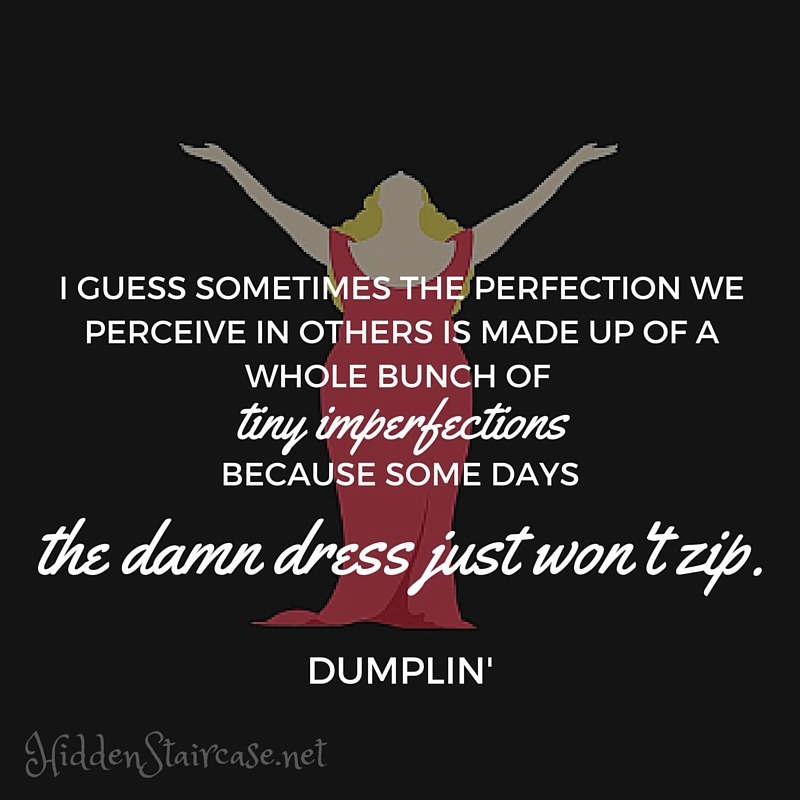 Dumplin’ was funny and heartfelt. There was only one thing I didn’t like: The End. Don’t get me wrong – I don’t mean the ending. I mean the book finished. I wanted to stay with Willowdean a little longer and see what happened next. She is a great character and I was sad to leave her. ← Double Indemnity. A Mini Review. Thank you! It was the same with me – I saw great reviews last year when it came out. Then I was at the library a few weeks ago, and there Dumplin’ was on the table, calling out to me. 🙂 Hope you enjoy it. So glad you enjoyed this one!! I really liked it too. I agree the cover is amazing!! Great review!